January 19th in Backup Plugins, Wordpress Plugins by Wordpress Jedi . 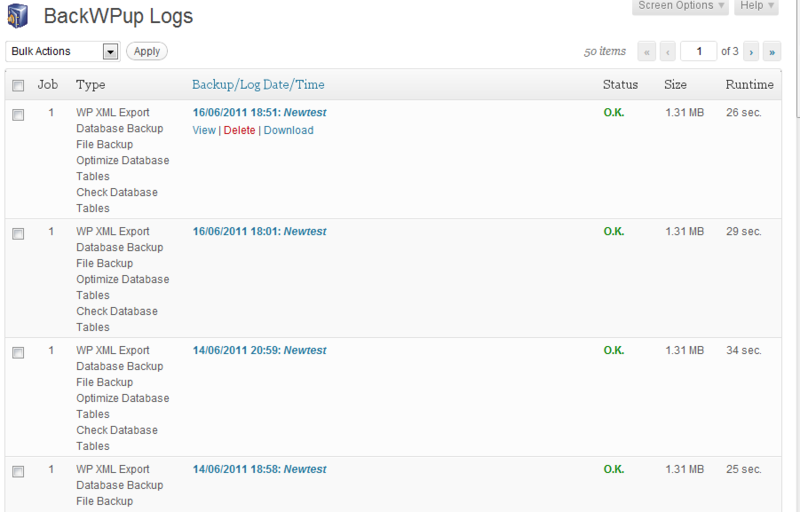 BackupBuddy: one of the most reliable backup plugins that we have tested. Since this is a premium plugin, you can expect the folks behind it to deliver timely updates. 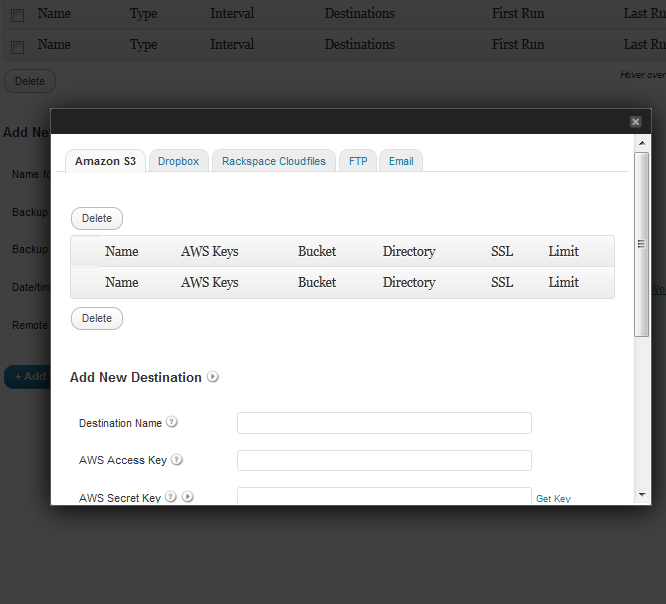 It lets you backup your entire WordPress database to Amazon S3, Rackspace Cloud, and Dropbox. 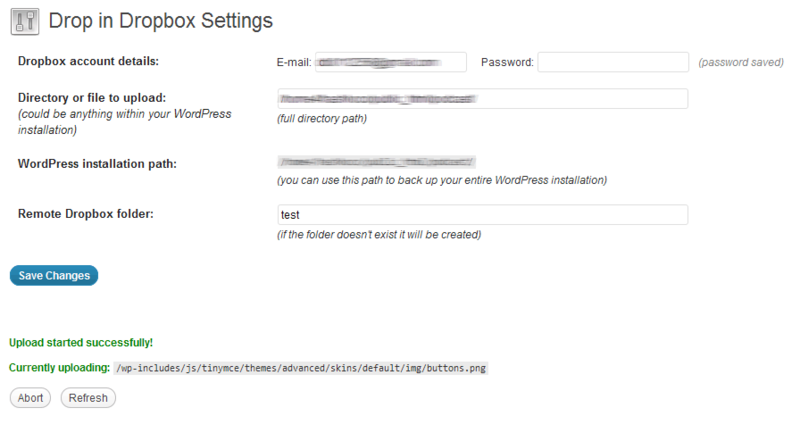 Backwpup: if you are looking for a free backup plugin for WordPress that is reliable and offers you options, this is one script you should check out. It supports Dropbox, S3, SugarSync, and Microsfot Azure. 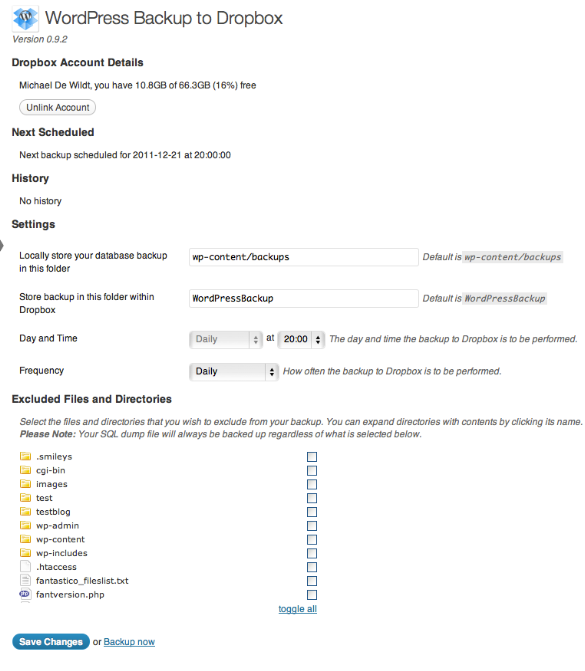 WordPress Backup to Dropbox: this is especially useful if you rely mainly on Dropbox to store your backup files. It automates the backup process for you. The plugin uses OAuth so your account information won’t be exposed. Drop in Dropbox: lets you upload single files or entire directories with subdirectories to your Dropbox account. It can be used for backup and synchronization of your files. 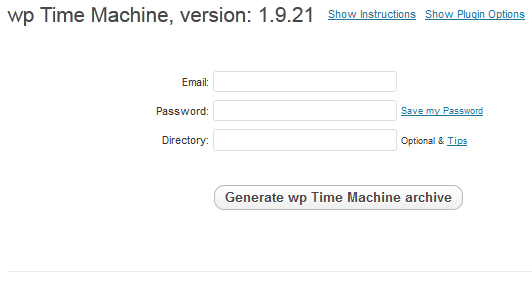 wp Time Machine: another simple plugin that lets you download WordPress data and files. You can use this with your Dropbox or S3 account. So why 5 plugins instead of one? My experience has shown that these plugins break from time to time (some of them but not all). If you don’t want to stop your backup process, you are going to need alternative plugins that do the very same job. With the above plugins, you have plenty to choose from just in case your favorite Dropbox backup plugin breaks.